Synopsis: A father trying hard to ‘fit-in’ in his son’s badass world. A son trying hard to ‘dude-up’ his dad from ‘aiiiyyyo’ to ‘Yo!’ And a mother lost in translation between her husband’s ‘ingeva’ and her son’s ‘inn’it!’ While Shekhar was trying every trick in the book to woo his son, get ‘dude-ified’ and ‘up his coolness quotient’ his son had given up on him. Just when the father-son duo hit a deadlock, Shekhar strikes gold when he designs one hell of a game. Finally it all starts falling into place, as the family comes together, only to find themselves in the middle of a crash…not just a hard drive crash but a crash that would drive them to a disaster and make their lives go – KABOOM! All hell breaks loose when – the game that was meant to be played with starts playing them. 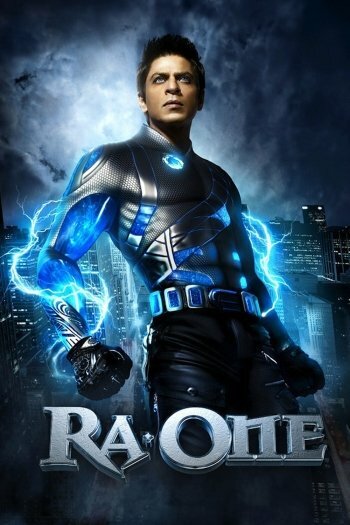 Ra.one – The next level.